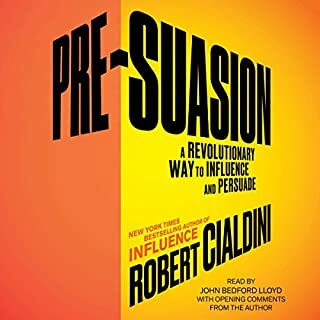 De : Robert Cialdini Ph.D. 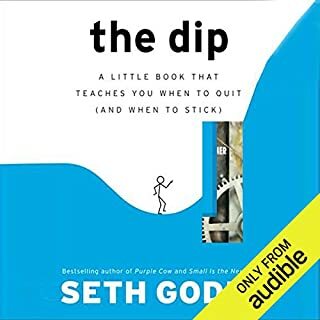 Warning: do not listen to this book if you hate money. Whether you're just starting out or are an experienced entrepreneur, this book is the easiest and fastest way to create a marketing plan that will propel your business growth. 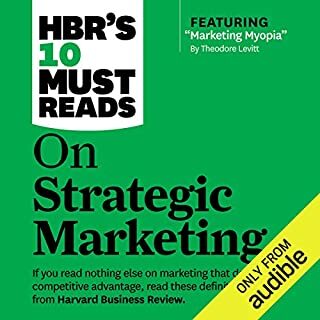 Where does The 1-Page Marketing Plan rank among all the audiobooks you’ve listened to so far? Among business books? Right there at the top. Among books? Surely in my top 10. Most of us have read dozens of business books that attempt to teach us about sales and marketing. They even go as far as saying that marketing is key. 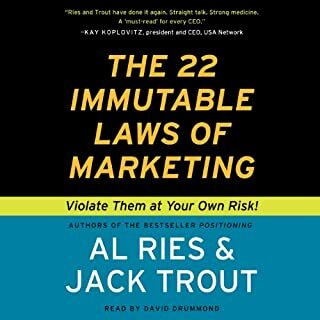 Well, this book doesn't do just that, it explains how marketing is up there in priority with the very design of your business. It doesn't just contrast positioning with product-focused theories, it debunks some and sets others exactly where they belong. Invaluable lessons to be learned on what a prospect is and how to treat him, how to craft your offer, how to make competition irrelevant (like that: make direct comparison to competitors an apples-to-oranges comparison), how gain the most out of your relationship with your customer, how to avoid the hell of commodity-based offers... And a ton more practical guidelines on how to change your mindset from an ad-for-sale business to one that's value, authority, and trust-based. 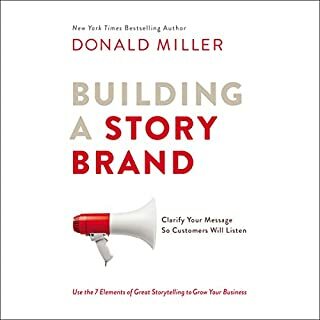 No book I've read on marketing comes near this one. It's simple for the rest of us, it doesn't get lost in the technical details of the marketing field, it is completely connected with the rest of what you have to learn as an entrepreneur. It's an invaluable resource and I'll be sure to read it many times over. 45 sur 45 personne(s) ont trouvé cet avis utile. Of all my many years of online purchasing I have never felt compelled to write a review until now. A a new small business owner this book is absolute gold. Its helps you grow from marketing dummy to marketing effectively in just one day. 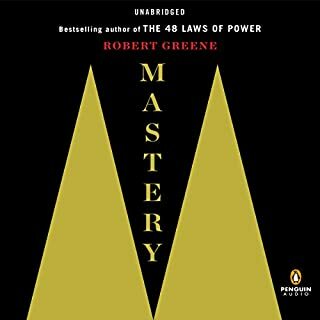 The lessons learned are invaluable and I can already feel that my business will be wildly successful thanks to the jewels I will carry from this book forever. Thank you Alan for giving the little fish a chance to win. If you're on the fence about purchasing this book, knock yourself off as hard and fast as possible, you've already wasted too much time reading this review when you could be learning your first 3 lessons!!! Blessing! 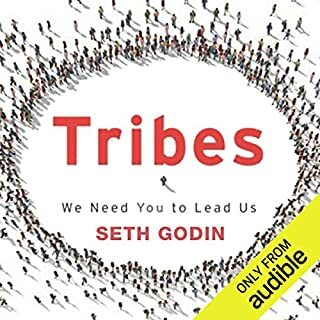 Fantastic, easy listening audio book on marketing. Allan easily puts marketing buzz words into everyday language with simple analogies and metaphors. Well written. Great book. Already referred friend. 'RAVING FAN CREATED'. Solid information. 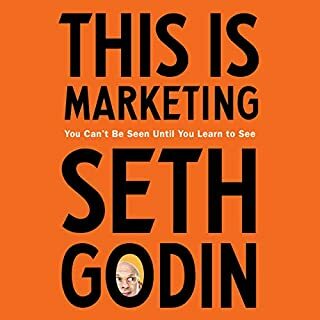 Great read for anyone looking to improve marketing skills. Straight forward. Couldn't put it down once I started reading it. Go with the audio as well. 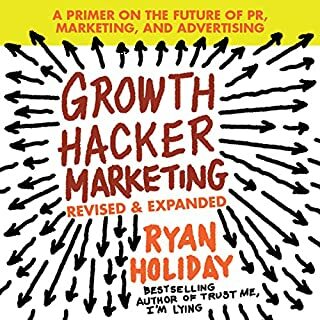 This is an all-around excellent marketing planning primer, well written, funny, and to the point. The beginning starts slowly but builds. But that foundation is important, and by 1/3 the way in you are really getting to the meat and it keeps going from there. HIGHLY actionable, and good for the solo entrepreneur as well as the large corporate marketing person. I'll be reading this at least once a year from now on and being sure to take action. Would you listen to The 1-Page Marketing Plan again? Why? I am a mortgage professional using Allan Dib's concepts to create a sustainable business to last for a long time. 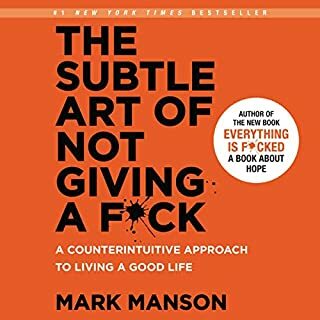 I am actually on my 2nd time listening to this book. It comes w/ great material to supplement the book like a "greatest headlines" list and a 1 page marketing plan guide which I am in the process of filling in. Even the 2nd time around I'm catching new tidbits I missed at first. 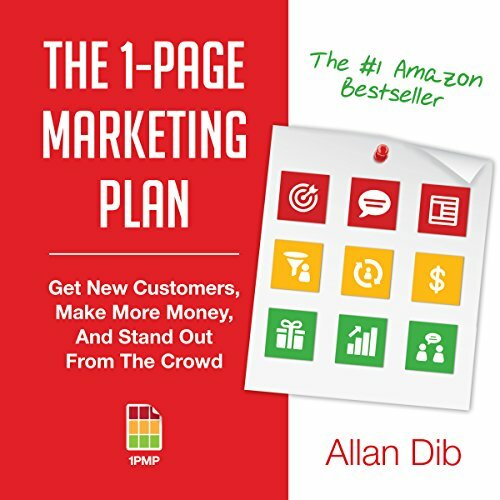 This book actually got me excited to begin my marketing plan and Allad Dib has lead me in the right direction. He also offers his email address for questions afterward...awesome. What was one of the most memorable moments of The 1-Page Marketing Plan? One of the most memorable moments was when I was able to access the pdf with nine boxes which I fill in to complete my marketing plan. As I'm filling out this template, I feel like I'm touching on all facets needed to properly market my brand. I'm currently picking up more copies for my Realtor Partners so we can work together and implement these strategies together. 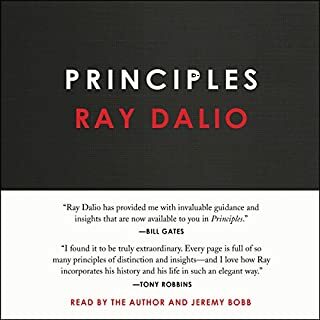 top ten business books I've listened to. gave me a lot of great ideas to market my product. it covers the basics of marketing as well as some other aspects of business, but as they relate to marketing. it's not perfect but I found it extremely helpful. not just the content, but the pace and attitude are inspiring, but not by trying to be. they inspire because it comes from the authors real world experience... sorry no caps, my phone has issues. 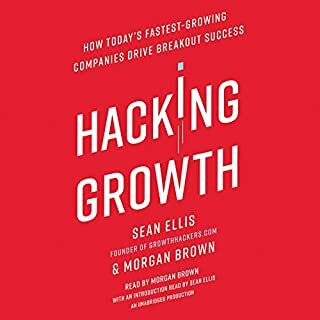 If you are a business owner or marketing specialist, this is a great read/audiobook. 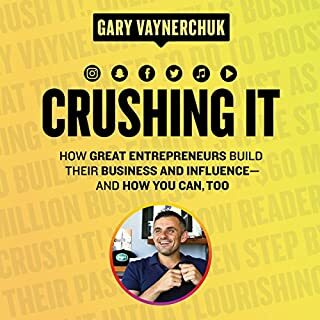 I spend almost $1,000,000 a month advertising and still learned a lot from this book. Follow the plan. Amazing result await. 29 sur 33 personne(s) ont trouvé cet avis utile. Phenomenal marketing ideas! 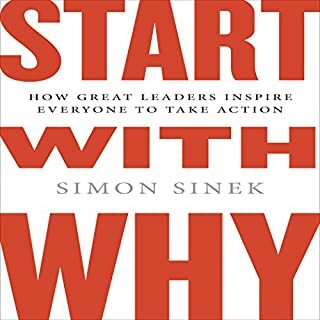 Time to take action and there are tons of ideas to act on in this book. Save your college tuition. 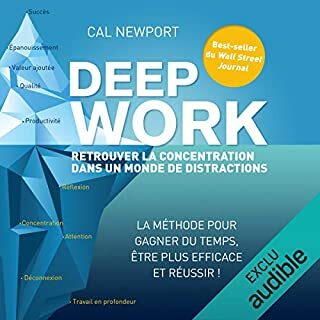 Just listen to this audio book, take notes, and do your worksheets. 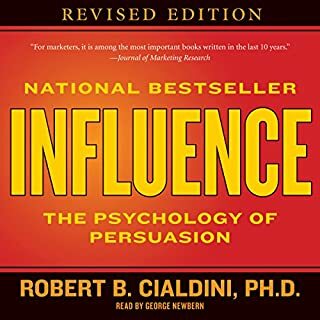 This book is great for inspiration on how to enhance sales. This book is interesting for newbis and also for those who are already familiar with marketing. 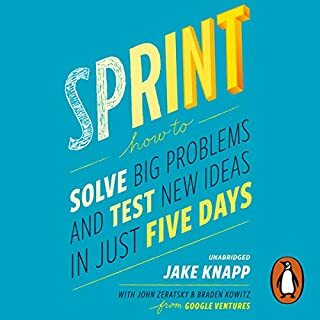 The value of this book is that it gives actionable advice. Concise and easy to understand. ...die ich je gelesen und gehört habe. Sollte jeder Unternehmer und Selbständige mal gelesen haben. A great summation of what needs to be done. 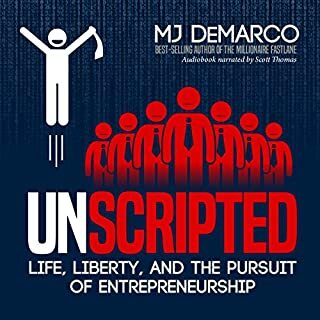 If you're starting a business or startup this book is a must read/listen. Many things in this book are not new . But they are organized in a very helpful way and provide an excellent overview of the essence of effective marketing. The subtle and sometimes not that subtle but straight humor woven into the text by the author Allan Dib kept me fascinated and curious all the time. Narrated in an awesome performance by Joel Richards this was an educational trip of pure pleasure and impressive business value.